Cars today are built with embedded systems in place that control one or more electrical systems or subsystems. These embedded systems are called control units. Each control unit acts as an electronic brain and manages dozens of functions, including cruise control, air conditioning, and entertainment systems. These control units are powered by sophisticated software that not only tracks error codes and faults as they occur, but can also receive updates, similar to how a computer or a smartphone can receive updates. There are as many as 55 to 60 controls units in a BMW — Einstein’s computer diagnostics encompass all of these, minus aftermarket accessories. Einstein’s can check default code scans on the entire vehicle, which include: heating/air conditioning, transmission, check engine light, central body, central locking, steering systems, sun roof, anti lock braking, electrical suspension system, power modules, instrument clusters, cruise control systems, and many others. Einstein’s computer diagnostics also includes reprogramming and updating software. This is done using the very latest, minute-by-minute, BMW updates. When a reprogram is done, the request is uploaded and downloaded all at the same time while the vehicle is sitting in the bay. There is no latent or dated programming information going into the vehicle because it’s happening live. The actual updating instrument is updated before the car is. This is an interactive programming situation. The machine that’s used is Auto Logic — just about the best thing out there. 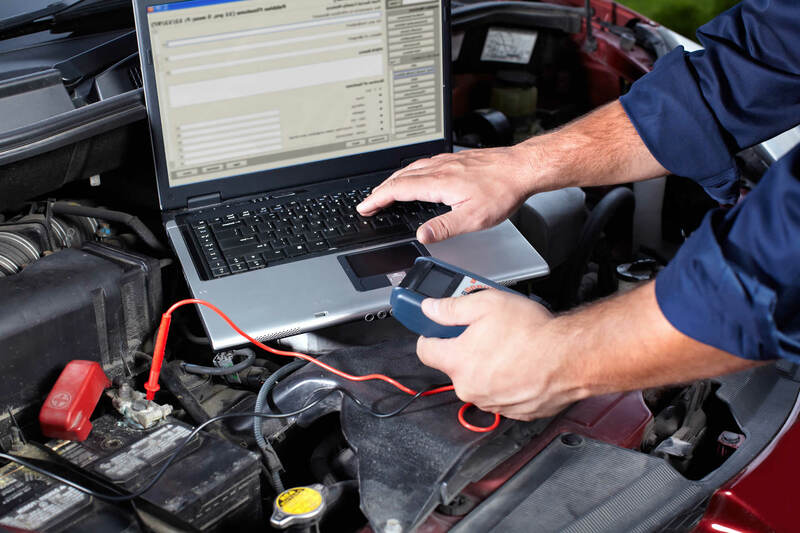 At the moment of programming, the Auto Logic is updated to the latest & greatest BMW software, BMW coding & information programming software and operational software. That information is contained on remote servers that is downloaded into the machine and then into the car at the time of the programming. Once the machine is fully updated, the car is updated. So, whatever information is downloaded into the car is the very latest, at that very minute. It’s the best there is.